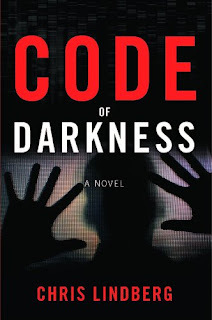 Code of Darkness begins with a mysterious stranger intervening in a bank robbery with what appears to be superhuman abilities. Cop Larry can't put thoughts of the stranger aside and instinct leads him to investigate the matter further; putting the lives of not only himself but also those of his family in grave danger. This is the debut novel from author Chris Lindberg and it's a fantastic read. It's fast paced with an overload of action spilling onto every page. This is how a thriller should be written. The 'superhuman' angle is refreshing and took a completely different direction to being just another superhero rehash. The writing is excellent and showed no sign of being anything other than from the pen of a very competent author. My thanks to author Chris Lindberg for providing me with a copy of this book. When a routine bank robbery takes an unexpected turn, veteran Chicago Police officer Larry Parker witnesses a heroic act by a mysterious intervener. But seconds later the Samaritan disappears, leaving Larry only with unanswered questions. Suddenly, vigilante activity begins popping up all over the city -- including several murders. Larry begins to gather the missing pieces of the puzzle, and finds evidence the Samaritan might be tied to them. When he learns the man's identity -- a loner known only by the name Rage -- he prepares to move in for the arrest. But there is much more to Rage than meets the eye: the case has also drawn the attention of a covert Black Ops division within the Pentagon. Their mission: find Rage, while keeping their operation out of the public eye. Seen as knowing too much, Larry suddenly finds himself in the crosshairs as well. When Rage is captured in a deadly standoff, Larry is forced into hiding, and must search for answers while on the run.